We are the most reputed manufactures, exporter and suppliers of Protective Industrial Epoxy Coating. These are offered by usage of standard quality materials that is sourced from certified vendors. Our exhaustive range of coating for surface protecting solutions is based on our understanding and knowledge that is attained by serving various industries. It contains an inbuilt integral waterproofing agent, corrosion resistant chemical, together with a chemically active ingredient. liquids ,etc. Used as a protective coating in laboratories, abattoirs etc. Day of the first coat or at an interval of at-least eight hours. Epoxy Resin Coating is used for coating for inner and outer surface of concrete and metal tanks. We use these coatings for the more effective and high strength of the surface. These are available in different quantity packaging as per the need of clients. We offer these at competitive prices. It is high in demand due to unique features like long life, water resistant and non toxic in nature. They can be easily applied. Perma Master Coat Clear is an aesthetic and protective epoxy resin coating which has been specifically developed to meet the 'In service' protection of concrete, metal, etc. the product is supplied as two-pack system comprising of a base and hardener. It requires only on site mixing to produce an easily applied chemical resistant finish. Perma Master Coat Clear coating will not support the growth of bacteria. Best used as floor and wall coating. We are well known manufacturer, supplier and exporter of Floors Repair Epoxy Coating. These are easy and fast to the application that is safe and abrasion resistance. We offered to our clients for repairing floor which is widely used in industrial applications. This floor repair coating is chemical resistant and is helpful in protecting the floor. Abrasion on resistant and hard wearing. Surface Preparation: As with all epoxy resin systems, surface preparation is of prime importance. For concrete surfaces, remove all grease, oil, dust laitence etc. Ensure substrate to receive the screed is sound,cut back to sound surface where ever necessary. Remove dust and ensure the surface is dry. Prime with Master Prime-eN or Master Bond. Mix in a suitable mechanic a plenty peers in mixer consisting of 714 gms of base and 286 gms of Reactor components and to this add and mix 5.7Kg of quartz sand. Use quartz grade16/ 30 if the mortar has to be laid in layers of 10mm and above. Forth in layers use quartz grade 30/80. After application of mortar on the following day mix Master Patch FL Base and Reactor in the proportion of 714 gms of base to 266 gms of reactor material and to this add 2 Kgs of quartz ball mill powder to produce a creamy consistency slurry. Pour and level is slurry over the already applied mortar as a sealer and finishing coat. We are among the leading manufacturers and exporter of a wide variety of Protective Epoxy Resin. These are manufactured using premium grade raw material as per the international quality standards. These are widely used to offer strong bonding, waterproofing, repair, and high adhesion of decorative coating in laboratories and abattoirs etc. They are highly accepted due to the features of long-lasting effect and harmless. We export these at competitive prices. Perma Master Coat is an aesthetic and protective epoxy resin coating which has been specifically developed to meet the 'In service' protection of concrete, metal etc. The product is supplied as a two-pack system comprising of pigmented base and hardener. It requires only on-site mixing to produce an easily applied decorative and chemical resistant finish. Perma Master Coat coating will not support the growth of bacteria. We offer a gamut range of Anti Corrosive Epoxy Coating which is made from the best grade material which is sourced from reliable vendors in the market. These are highly used for coating constant spillages of water, marine vessels and structures, which is applied as per the necessity for applying. It is easily applied which is high in strength and chemical resistance. Clients can purchase these products at reasonable prices. Master coat-zn is a zinc rich, heavy duty industrial coating based on epoxy resin and hardener. Master Coat. ZN is especially developed for metal surfaces which are subjected to constant spillages of water or subjected to marine atmosphere. Metals coated with Master Coat-ZN show excellent resistance to sea water. The product is supplied as two-pack system comprising grey coloured base and hardener .requires only on site mixing to produce an easily applied decorative and chemical resistant finish. For protection of metal surfaces subjected to heavy chemical atmosphere and constant spillages of water. Our valued clients can avail an Epoxy Coal Tar Coating which is exported and supplied in different quantity packaging. It is applicable for coating the walls for protecting from the growth of bacteria. This is also used as sewerage work application and in offshore or marine environments. We manufacture them with the standard quality material that is high strength coating and waterproof coating in nature. They are offered to our valuable clients at competitive prices as per standard norms. Uses include the lining of tanks ,pipes and ducting. Master Pitch is particularly suitable for use in sewerage work application and in offshore or marine environments. We are the exporter and supplier broad array of Epoxy Concrete. Our products are manufactured in accordance to various international standards to offer best to our clients. These epoxy concrete makes the floor very stronger, waterproof and scratch proof. Our products can be availed at most affordable rate. We can take bulk orders in the supply of these concrete. strong bedding mortar or screed mortar to industrial floors. Resistant to chemical sand aggressive substances. Master Floor-HD covers 0.50 sq.ft. to 1.50 sq-ft per kg. Depending upon the thickness of the screed. Do not split packs or alter the components in anyway Mix in a suitable mechanical pan type resin mixer. Thoroughly mix both liquid components together prior to the addition of the aggregate component. Re mix until the aggregate is completely dispersed. We are the one of the leading manufacturer, supplier and exporter of a wide range of Acrylic Floor Coating. These coatings are applied for floors for hardening the surface. Clients can avail this floor coating at a reasonable price in the market for heavy construction in shopping malls and supermarket. These coatings are easy to apply and clean available in various colors. 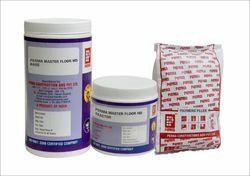 These products help in protecting and high strength of the floor in various residential buildings. Perma Floor Coat – WD is used for coating concrete floors and gangways in the manufacturing units. Perma Floor Coat - WD can be used for coating parking are a sin the shopping malls and supermarket. As a contrasting color markings on the walkway sand in jogger sparks. Perma Floor Coat - WD is used for coating swimming pools,fountains, water bodies and water tanks. 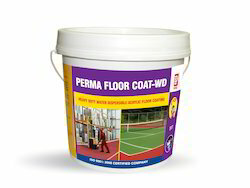 Perma Floor Coat – WD is used for coating Tennis/ Badminton/ Squash Courts. Perma Floor Coat-WD is used for renovating and redecorating red oxide cement floors in there residential premises. Perma Floor Coat – WD is water based and hence not messy like conventional coating materials. Perma Floor Coat-WD has a higher PH and hence more compatible with concrete. No cleaning solvents are required and can be wash with water when it is still wet. Apply one liberal coat of primer prepared by mixing Perma Floor Coat- WD with water in the proportion 1: 1 by volume. When the primer coat has dried apply two coats of Perma Floor Coat-WD to desired finish and allow it to dry over night before allowing foot traffic. We specialize in manufacturing, exporting and supplying an array of Epoxy Resin. These are applicable for external and internal protection of concrete or metal tanks containing drinking water, oils, and consumable liquids. It is available in two comprising of base and hardener. They are highly used for hardeners for floor and wall coating. Our resin is used as a protective and decorative coating in laboratories, abattoirs which are safe, resistance to chemicals and high strength in nature. 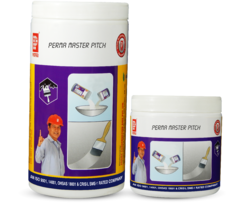 Perma Master Coat- HD is a high build, heavy duty industrial coating based on epoxy resin and hardener. Master Coat-HD is especially developed to take the loads that are expected on the floors and walls, metal and concrete structures of a factory. The product is supplied as two-pack system comprising of pigmented base and hardener. it requires only on site mixing to produce an easily applied decorative and chemical resistant finish. Master Coat - HD coating can easily be built up to higher thickens by subsequent coats. We have gained vast expertise in offering a superior range of Epoxy Resin Based Mortar to our clients. These are fabricated by usage of best quality materials which have high durability and great strength. The liquid epoxy resin includes higher bond and chemical compounds. It has low permeability, and it reduces the growth of bacteria, mainly designed for protecting the concrete structures. These are available at a cost effective price. Master Floor-SL is a three component epoxy resin based mortar for application to a variety of sub floors as a joint less. thin. Self-leveling topping. Master Floor-Sq Luckily provides a permanent and hard wearing. It provides a smooth,hygienic can dust free floor that can be easily cleaned. To provide a seamless, hygienic, self-leveling floor topping for are as subject to pedestrian and light wheeled traffic. High Compressive, flexible land tensile strengths in excess of concrete. Available in range of attractive colors Brown, Green, Blue, Grey etc. 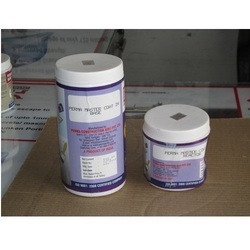 Epoxy based supplied in pre-weight units. 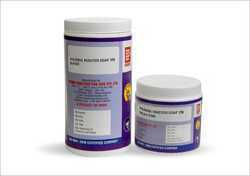 We offer a superior range of this Epoxy Injection Grouting which is a smooth paste. These grouting materials are manufactured by usage of fine grade materials that suits in all applications. 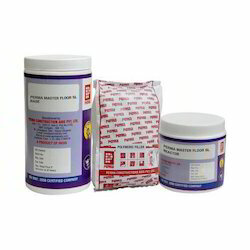 These products are used for filling the cracks and pores of concrete surface. Clients can purchase these products at affordable prices. 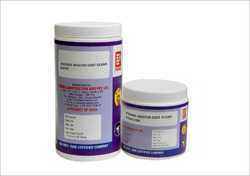 Prema Epoxy 100-EG is used for consolidating the concrete mass in weak concrete structures. Looking for Protective Coatings for Concrete ?